Water.org seeks a highly skilled and highly motivated Senior Program Manager to support its growing portfolio of WASH microfinance programs in Indonesia. This full-time position will be based in Jakarta with regular travel throughout Indonesia. The Senior Program Manager is responsible for managing and supporting Water.org teams and partner financial institutions in the launch of water and sanitation financial products. This position is able to lead and manage Project Officers and partners in topics such as program design and implementation, WaterCredit, microfinance, and/or WASH. Additionally, this position is able to assist the development and establishment of new programmatic and operational procedures, systems and guidelines. This position reports to the Country Director and works closely with Project Officers and other local staff. 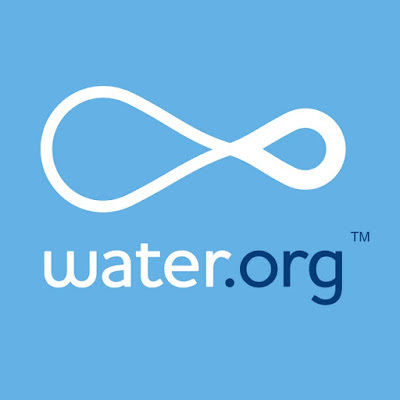 He/She will also work closely with other members of the Water.org International Program team and other US-based teams. Manage and oversee implementation of programs/engagements in collaboration with MFI partners including delivery of funding and technical assistance. Develop and manage contracts with and provide support to consultants hired to supplement Water.org’s programmatic work. Ensure optimal operational and financial performance of on‐going programs through a combination of in‐country support, monitoring, and technical assistance to addres implementation challenges. Maintain databases and track partners’ WASH loan performance and financial expenditure on a regular basis. In collaboration with International staff, ensure execution of Project Officer’s role meet expectation and on time. Maintain regular contact with Water.org US program managers to evaluate programs, inform about partner progress and report any issues impacting achievement of program deliverables. Support to develop and deliver training modules for partner staff and households on topics such as WASH principles, health and hygiene. Support partner exchange visit to Water.org partners in in other countries. Act as a regular liaison between Water.org, partner financial institutions and other stakeholders. Support in identification and certification of new partner organizations, including financial and non‐financial institutions. Work with partner to determine appropriate program targets and deliverables. Assist in the design of partner program work plan and budget. Ensuring they are allocating adequate resources and personnel for successful completion of deliverables. Solicit and evaluate new program proposals from partner organizations. Contribute to development of new partnership models and innovative approaches to building partner capacity. Monitor the regular communications with partners; track and report information related program implementation including partner activities, expenditures and loan portfolio. Review data report submitted by partners is accurate during program monitoring visits. At least eight years of relevant experience with microfinance or micro/retail banking institutions, water and sanitation organizations, engineering firm, international development organization, or related. At least 5 years’ experience leading and managing a dedicated team.